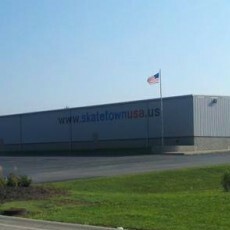 Skatetown USA is a family roller skating facility located in West Chester, Ohio, just 3 miles north of the Tri-County Mall. Admission for our 12:30-3pm, 3:30-6pm and 6:30-9pm open skating session is $6.00 per person and Admission for our Friday night 8-10:30pm open skate is $7.00 per person. If you are a non-skating parent chaperone, you do not need to pay admission. Skate rental is $3.00 for regular skates and $5.00 for inline or speed skates.